The word “concordism” is found in neither Merriam Webster nor the Oxford English Dictionary, yet it’s often used in contemporary works dealing with origins. Derived from the word “concord,” meaning a state of harmony, “concordism” has been used sparingly in English for more than a century. However, its prominence today comes from a thoroughly scholarly book written shortly after World War Two by the late Baptist theologian Bernard Ramm, The Christian View of Science and Scripture (1954). As Ramm defined it, concordism “seeks a harmony of the geologic record and the days of Genesis,” by which he really meant an old-earth creationist approach. Clearly, then, the concordist or progressive creationist view has been around for a long time. Let’s examine its main components. (1) The Bible and science (mainly geology and astronomy) are BOTH reliable sources of knowledge about the origin of the earth and the universe. God has written two “books” for our instruction, the book of nature and the book of scripture. Since God is the author of both “books,” they must agree when properly interpreted. Recall Galileo’s belief that the book of nature, written in the divine and unambiguous language of mathematics, should be used to help interpret the book of scripture, written in the richer but more ambiguous language spoken by the ordinary persons for whom its vital message of salvation was intended. When they accept the evidence for an ancient earth, Silliman and many other evangelical scholars right down to our own day believe they have merely applied Galileo’s logic to a different set of biblical texts. (2) Scientific evidence, when properly interpreted, is consistent with the Bible, when properly interpreted. What about those who interpret the book of nature? Can they ever be mistaken? Should they ever yield to those who interpret the book of scripture? Evolution was not the source of Galileo’s concerns, but concordists today would give the nod to scripture mainly when it comes to evolution—especially human evolution. Regardless of how much evolution they accept for other organisms, concordists hold strongly to the separate creation of Adam and Eve as the first human beings. They believe that Genesis 1 was intended to be at least broadly historical, even though it does not provide detailed scientific information. Mainstream conclusions in geology and cosmology, however, are almost always accepted; indeed, Hugh Ross and some other OECs not only accept the “big bang” theory of the universe, they actively promote it as central to Christian apologetics, because it presents us with a universe that is not eternal and that appears to be exquisitely designed as a home for living creatures, including ourselves. (3) The Bible does NOT tell us the age of the earth. Two main concordist approaches to resolving the tension between Genesis and scientific dating of the earth have been popular since the mid-nineteenth century: the “day-age theory,” which still has numerous advocates (including Ross), and the “gap theory,” which is now nearly extinct. One hundred years ago, however, the gap theory was probably the more popular option among conservative Protestants, and it remained so until the 1960s and 1970s, when the rapid spread of Scientific Creationism all but relegated the gap view to the dust bin. The gap theory posits a “gap” of untold length between “the beginning” of Genesis 1:1 and the first “day” of creation, starting with Genesis 1:3; the formless void of Gen 1:2 corresponds to this “gap.” Verse 1 refers to the original creation of the earth and the universe “in the beginning,” not to world as we now find it. The fossils represent creatures that populated the original creation. Current living creatures come from a second creation, after the “gap,” when God made them in six literal days, culminating in the creation of Adam and Eve just a few thousand years ago. As Scofield’s third note shows, the gap theory was usually placed within an elaborate theological structure about the fall of Satan and the angels, based on certain prophetic texts (see below). A full discussion would take us far afield, but something should be said about how gap theorists interpret Genesis 1:2, the crucial verse for their model. Scofield sticks with the King James Version, “the earth was without form, and void,” doing the exegetical work in his notes, but others like to render it as, “the earth became a waste place,”, drawing out the implication (in their view) that God destroyed the original creation, laying waste to it in an act of judgment, leaving us with fossils of the pre-Adamic world. In some versions of the gap view, the original creation included pre-Adamite people—that is, humans who were not descended from Adam and Eve. This idea that took many forms, some with racist overtones. Perhaps this strikes you as a bit surprising, but in the mid-nineteenth century it was a commonplace conception among Protestants, and not unknown to Catholics either. A prominent example would be The Pre-Adamite Earth: A Contribution to Theological Science (1846), a very popular book by the English Congregational minister John Harris. Historian David Livingstone has written the definitive history of this fascinating idea. For more, see this interview, but there is no substitute for reading the book itself! Let me make an invitation: who wants to borrow a copy and provide their own commentary here? In all versions of the gap theory, however, fossils are vestiges of the pre-Adamic world, produced when it was destroyed; they are not a record of evolutionary history. All modern animals and many plants were created recently, in six literal days. Despite what YECs often say, there is just no way to see the gap theory as an “evolutionist” interpretation of Genesis! The day-age theory takes the “days” in Genesis 1 as periods of indefinite length, such that neither the age of the earth nor the duration of any particular period in creation history can be determined from the Bible. The basis for this view is that the Hebrew word “yom” (day) can also mean an indefinite period of time. According to Hugh Ross, the leading advocate of progressive creation today, if the Hebrews had wanted to refer to a long period of indefinite length, they would have used the word “yom.” Thus, he claims to be giving a literal interpretation when he upholds the day-age view. Numerous varieties of the day-age view have been proposed since the eighteenth century, too many to review here. They all teach that the major kinds of plants and animals were created separately, over the eons of earth history; the fossil record shows reliably which came earlier and which came later. Thus, the creation was accomplished “progressively,” as Silliman held in 1829 and Ross holds today. Ross thinks God performed millions of acts of special creation, but concordists differ substantially among themselves on the magnitude of the number for this. Concordists mostly agree, however, that the first true humans were Adam and Eve, and that they were createdex nihilo—but, how recently were they created? Can the biblical 6,000 years be stretched far enough to encompass fossils of modern humans (homo sapiens sapiens) dating back perhaps to nearly 200,000 years? Can the biblical picture of Adam’s children living amidst cities and agriculture be reconciled with extensive evidence of humans who lived long before either existed? I’m no anthropologist, but anyone can see the relevance of such questions for this position. (4) The Flood was a real historical event, but it was not responsible for producing the fossils; rather, fossils are relics of organisms that were mainly here before humans. (1) Scientific evidence for an old earth is generally reliable and needn’t be refuted. Unlike the YECs, OECs do not contest the enormous body of evidence showing that the earth and the universe are billions of years old, and that complex, macroscopic life forms have been on this planet for hundreds of millions of years. Quite the opposite. OEC authors often review selected pieces of the evidence, supplemented by arguments about how to read Genesis in light of that evidence, hoping to persuade YEC readers that mainstream scientific conclusions are indeed very well founded and do not contradict the Bible. Indeed, concordists usually seem to be writing with one eye on YEC readers. Hugh Ross, an outspoken advocate of the day-age view whose views have already been discussed, is probably the most obvious example of such an author today, although many other examples could be given. 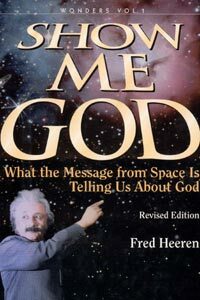 Thirty-five years ago, when Scientific Creationism was still relatively new, an influential group of evangelical authors very actively pushed progressive creationist interpretations with both eyes on YEC readers. Although obviously dated, their works still have value for those interested in the age of the earth & universe in relation to Genesis. The late Dan Wonderley taught biology for several years at Grace College in Winona Lake, Indiana, where YEC pioneer John Whitcomb taught at the seminary. A Baptist with master’s degrees in both theology and biology, Wonderley had to resign after his OEC views became publically known. A few years later he published a book, God’s Time-Records in Ancient Sediments: Evidences of Long Time Spans in Earth’s History (1977), in which he presented his day-age position. Perhaps its most useful feature is the detailed account of scientific evidence unrelated to the radioactive processes that are so often criticized by YEC authors, undermining their credibility for many conservative Christian readers. It’s not that Wonderley denied the validity of radiometric data, but he wanted readers to understand that even if they did not accept such data there was still abundant evidence for the great antiquity of the earth. A revised edition is available here. For a shorter version, see his article, “Non-Radiometric Data Relevant to the Question of Age”. I recommend that interested parties examine these sources and place comments below. Wonderley’s essay was soon reprinted as an appendix to another important OEC book, Genesis One and the Origin of the Earth (1977), written by astronomer and biblical scholar Robert C. Newman and a scientifically-trained pastor, Herman J. Eckelmann, Jr. The revised edition of this book is also available on the internet. The authors advance an esoteric OEC interpretation of the Genesis “days,” in which each of the six creative “days” was an ordinary day, but vast periods of time are interspersed between them; this is known as the “intermittent day” view. A Reformed scholar who taught New Testament at Biblical Theological Seminary in Hatfield, PA, for thirty-five years, Newman has in recent years been interested in ID. That should not be surprising. Many, perhaps most, ID supporters probably hold to some type of concordism, but this is hard to sort out since ID’s official stance is to keep the Bible out of the conversation, as far as possible. Indeed, to some extent the OEC view has been subsumed within ID, though covertly rather than overtly. I will say more about this in my upcoming columns about ID. Simultaneously with the books by Wonderley and Newman, geologist Davis A. Young published Creation and the Flood: An Alternative to Flood Geology and Theistic Evolution (1977). Young’s father was a very conservative Presbyterian biblical scholar, the late E. J. Young. In the early 1960s, as an undergraduate at Princeton and a master’s student at Penn State, Davis Young enthusiastically supported Whitcomb and Morris’ flood geology, but he changed his mind as a doctoral student at Brown, subsequently becoming an energetic opponent of the YEC position (Ronald Numbers, The Creationists: From Scientific Creationism to Intelligent Design, 2006, pp. 304-306). As a professor at Calvin College (now retired), he has written many excellent books and articles combining scientific, historical, and biblical information on the flood , the age of the Earth (and anexpanded version), human antiquity, and even John Calvin’s understanding of nature . Young might still be a concordist of some type, but several years ago he gave up the day-age view and many of his later works don’t fit naturally into any of the boxes I’m using in this series. However, his scholarship is impeccable and everything he writes is well worth reading, whether or not it advances a concordist model. The consistently high quality of his work led The Geological Society of America to name him recipient of the Mary C. Rabbitt History of Geology Award in 2009. Creationist Jonathan Sarfati, on the other hand, accuses Young of “poor scholarship and self deception”, while YEC geologist John K. Reed responds to Young and several other conservative Reformed geologists who accept an old earth here. Incidentally, I met all three of these men (Wonderley, Newman, and Young) not too long after their books came out. We were all involved with the American Scientific Affiliation. Readers who are very serious about Christianity and science should join that excellent organization: there simply is no substitute for the kind of live human interaction they foster. No blog or list-serve can come close to matching it. (2) Animals died long before the Fall of Adam and Eve. OECs not only accept the geological evidence for antiquity, they also accept its implications for interpreting Genesis—including its implications for theodicy. Newman didn’t go into this, but Young weighed in extensively in his first book, Creation and the Flood. I’ll leave it as an “assignment” for readers to investigate more fully and make a report to the “class.” Wonderley’s book includes a short appendix on “The Problem of Death Before the Fall of Man” that should be read at this point. OECs today still talk about death before the fall, partly because the absence of animal suffering prior to the fall is absolutely crucial to the YEC view of God and the Bible. OECs hold similar views about God and the Bible, alongside different views about natural history, so (pardon the pun) they take great pains to explain pain in a manner consistent with their OEC stance. A nice contemporary example is physicist David Snoke, who is also a licensed preacher in a very conservative denomination, the Presbyterian Church in America. (I don’t want to digress very far, but let me note in passing that the sin-death issue is especially important to Reformed Christians.) Snoke devotes substantial attention to theodicy in his OEC book, A Biblical Case for an Old Earth and in an interesting article, “Why Were Dangerous Animals Created?”. Creationist Lita Cosner calls Snoke’s book “pathetic”, adding that “it takes an amazing amount of arrogance to think that someone can refute young-earth creationism in any kind of detail in a book less than 200 pages long,” despite the fact that dozens of YECs have claimed to “refute” evolution in books that are even shorter! A recent concordist book about theodicy by William Dembski has drawn substantial attention—partly because the author is a leading advocate of ID, and partly because when he wrote it he was teaching at a seminary owned by the Southern Baptist Convention, a denomination in which the YEC view has many influential advocates (especially R. Albert Mohler, Jr.). Entitled The End of Christianity: Finding a Good God in an Evil World , Dembski states that this particular book, unlike his others, is not about ID, even though the problem of evil is highly relevant to the nature of an intelligent designer. Rather, it is essentially an OEC book, written with both eyes on the YECs—with whom he expresses much sympathy: “The young-earth solution to reconciling the order of creation with natural history makes good exegetical and theological sense,” and it was the consensus view through the Reformation. However, he quickly adds, “I myself would adopt it in a heartbeat except that nature seems to present such strong evidence against it.” (p. 55) Indeed, as he says in an interview about the book, the issue of death before the fall “is at the heart of the debate between young and old earth creationists”. Dembski also advocates a local flood, and he treats the garden of Eden as a “segregated area in which the effects of natural evil are not evident” (p. 151; for more, see Dembski’s separate article here). I’ll be more specific about Dembski’s theodicy in the final part of this column, where I’ll highlight an historical connection he makes himself. For the time being, I only note that his views on all of these points have been controversial among Southern Baptists and other fundamentalists, such that he had to retract his position on the flood in order to remain on the faculty at Southwestern Baptist Theological Seminary (see the “Preamble” by Paige Patterson, president of the seminary, here). (3) Quite a bit of evolution may have happened, but humans and (at least some) other major forms of life were separately created. Hugh Ross apparently thinks that millions of creatures were created separately. In their contribution to The G3n3sis Debate : Three Views on the Days of Creation , Ross and his co-author, the late Gleason Archer, say, “we acknowledge hundreds of millions of miracles over millions, even billions of years,” but they may lie on one end of this issue (p. 196). Regardless, this is one reason why concordists are often called “old-earth creationists.” It is misleading in the extreme to call them “evolutionists,” as the YECs often do, simply because they accept an “old” earth and universe. Of course, the crucial issue is human origins: whatever a given OEC thinks about how many other creatures were separately created, God created Adam and Eve ex nihilo! Frontispiece to Robert Bakewell’s An Introduction to Geology (New Haven, 1839). Courtesy of Edward B. Davis. Here the error of those is manifestly refuted, who maintain that the world was made in a moment. For it is too violent a cavil to contend that Moses distributes the work which God perfected at once into six days, for the mere purpose of conveying instruction. Let us rather conclude that God himself took the space of six days, for the purpose of accommodating his works to the capacity of men… [God] distributed the creation of the world into successive portions, that he might fix our attention, and compel us, as if he had laid his hand upon us, to pause and to reflect. For the confirmation of the gloss above alluded to [see the first sentence], a passage from Ecclesiasticus is unskillfully cited, ‘He who liveth for ever created all things at once,’ for the Greek adverb κοιν which the writer uses, means no such thing, nor does it refer to time, but to all things universally. The instantaneous view was advanced especially by the most important Western theologian of the first millennium, Augustine of Hippo (354-430), who wrote a work (in multiple versions) called On the Literal Meaning of Genesis (ca. 391). Influenced by Ecclesiasticus 18:1, he taught that in the beginning God made matter and all material things simultaneously. “Those who cannot understand the meaning of the text, He created all things together, cannot arrive at the meaning of Scripture unless the narrative proceeds slowly step by step.” Some things were created to unfold in time, growing from “seeds” placed in the creation by God, but they were all part of the original conception that was brought into material existence in a single creative event. However, to aid our poor understanding, God told us about it in the pattern of six days. Augustine called the creation days “dies ineffables” (unknowable days), so majestic and profound that we cannot think of them in merely human terms as ordinary days. They indicate logical order, not temporal order, and must be interpreted subtly. Regardless of which interpretation they favored, commentators have acknowledged a puzzling feature of the biblical text: the Sun is not “made” until the fourth day, yet the Sun is expressly given the task of producing the “day” and the “night” and there have been “evening and morning” since the first day. How can this be? Were the first three days unlike the next three days in some way? As we will see in my next column, the fourth day is crucial to the Framework view, but the questions addressed by that modern view are not modern at all. Augustine’s view was not identical to any of the modern views I am presenting (Concordism, Framework, and Theistic Evolution), but it resonates in places with each of them, and therefore is often seen as a precursor of such views. Although such comparisons are not without value, we must keep in mind that neither Augustine nor any other early commentator imagined an “old” earth. Before the late 1700s, it was generally assumed that the entire pre-human world was (at most) only a few days older than humans. There was hardly any scientific evidence bearing on the age of humanity, the Earth, or the universe. People interpreted Genesis on its own, without knowledge of modern geology or modern astronomy or Ancient Near East literature. Peter Enns underscores the significance of this in his splendid book, The Evolution of Adam. Given the pre-modern understanding, the question naturally arises: how old is the Earth, according to the Bible? Because the Bible contains detailed genealogical information about the descendants of Adam & Eve, it’s possible to estimate the date of creation. Several specific dates have been endorsed, all clustering around 6000 years. The traditional Jewish date (since the 12th century) for the creation of the world is either 29 March or 22 September 3761 BC. This reflects an assumption, accepted also by many Christian scholars: God would have placed Adam & Eve into the garden either in the spring or at the harvest, so that food would be abundant. The Byzantine date, based on the Septuagint (in which some of the genealogies are different from the Hebrew version), is 1 September 5509 BC. Martin Luther calculated 3960 BC. By far the most famous date among English-speaking Protestants, however, is the one given by James Ussher, a truly erudite scholar who did things very carefully. He arrived at 4004 BC after a very long and complex chain of reasoning, partly on the basis of the genealogies, partly by comparing the Bible with other ancient chronologies, partly because he knew that Jesus was born no later than 4 BC (in 1583, Joseph Scaliger established that Herod had died in that year), and partly because he liked a version of the traditional “world-week” interpretation of the six days, according to which each “day” of creation represents one thousand years of historical time and there were exactly four thousand years from Adam to Christ. The literal creation week and the instantaneous creation were the two major alternatives for most of Christian history, but more than a few commentators took intermediate positions that I ignore here. I cannot adequately convey the subtlety and diversity of this grand conversation, stretching nearly 2,000 years, in 2,000 words. Those who want to dig deeper are urged to consult the references at the end. Concordism in general is as old as references to the “book of nature” as a valid source of truth, supplementing the Bible. These go back at least to the Middle Ages and were very common by the 17th century, when Francis Bacon, Johannes Kepler, Galileo Galilei and many others acknowledged multiple sources of truth, using the same terminology. Concordism in natural history, however, began in the late eighteenth century, in response to the growing sense that the Earth was vastly older than humanity. Martin Rudwick has written extensively about what he calls “the discovery of deep time,” his term for the idea illustrated in an engraving of Niagara Falls, showing how the gorge was produced by erosion over time, that helped introduce American readers to an ancient Earth in the 1830s. Concordism in natural history is all about reading Genesis in parallel with geology, in order to get a single, consistent picture. The rest of this column outlines key aspects of concordism in America since the 1830s. I introduced readers to Benjamin Silliman in the first part of this column. An outspoken concordist, Silliman explicitly endorsed Galileo’s approach to the Bible and Copernican astronomy. Applying it to natural history, he spoke of the “consistency” of geology with “sacred history.” Mapping geological evidence onto the six “days” of creation, which he interpreted as long periods of time, Silliman noted that the absence (at that time) of fossil humans indicated that “man” appeared only at the end of the geological process—fully consistent with Genesis. From Sillman’s “Appendix” to Bakewell, An Introduction to Geology (1839). Courtesy of Edward B. Davis. Silliman’s student, geologist Edward Hitchcock, was also a concordist. Briefly a Congregational minister, he became professor of geology and natural theology at Amherst College, where he also served nine years as president. His textbook, Elementary Geology (1840), the first to be written by an American geologist, contained a lengthy section devoted to biblical and theological issues that still makes fascinating reading today. Hitchcock preferred the “gap theory” over Silliman’s “day-age” view, because he thought it was a more literal translation, but he was careful to offer alternative interpretations and did not push his own view dogmatically. Indeed, Hitchcock argued, on biblical grounds alone, apart from geology, one might have to allow animal death before the fall. Romans 5:12 (“Wherefore as by one man sin entered into the world and death by sin; and so death passed upon all men…”) explicitly limits the scope of death to humanity: death passed upon all men. And, unless Adam himself had seen death, how could the threat of death for disobedience have real force? At the same time, Hitchcock still accepted the traditional link between animal death and human sin. But, he also accepted the fact of animal death before the fall. To put these two truths together, he appealed to his Calvinist theological convictions: God had foreseen the fall and planned accordingly, creating a world in which animal death preceded the fall chronologically, but not theologically—if God in his foreknowledge had known that Adam & Eve would not sin, the creation would have been different. Hitchcock’s way of reconciling sin and death with an old Earth was not very influential, but from his day forward most conservative Protestant writers accepted an ancient earth and animal death before the fall. However, William Dembski has revived Hitchcock’s theodicy (and explicitly credits it to Hitchcock) in his recent book, The End of Christianity: Finding a Good God in an Evil World (2009). I said quite a bit about this in above, so here I simply note the historical continuity and invite readers—especially fans of Dembski—to peruse the selection from Hitchcock linked above. Concordism received a powerful boost in the mid-20th century, when Bernard Ramm published The Christian View of Science and Scripture (1954), which I have already introduced to readers. It was partly to counter Ramm’s considerable influence that Henry Morris and John C. Whitcomb, Jr., wrote The Genesis Flood (1961). One measure of the ongoing importance of Concordism is the fact that Scientific Creationism arose partly in response to it, and YEC leaders continue to devote significant energy to combatting contemporary advocates of Concordism, especially Hugh Ross. Theologian and ethicist John Jefferson Davis of Gordon-Conwell Seminary (not related to me) offers a different style of Concordism in his book, The Frontiers of Science & Faith (2002). The title of one of his chapters shows the continued relevance of Ramm: “Is ‘Progressive Creation’ Still a Helpful Concept? Reflections on Creation, Evolution & Bernard Ramm’s Christian View of Science and Scripture.” Davis originally published that material in the ASA’s journal, so it’s available on their website. If you get a chance to read it, please let me know what you think. Thus, Concordism remains a viable option for evangelicals today. As I’ve said before, most of the best material about Christianity and science is available only in print. If your interest in this topic is keen, the need to visit a library will not hold you back! James Barr, “Why the World Was Created in 4004 BC: Archbishop Ussher and Biblical Chronology,” Bulletin of the John Rylands University Library of Manchester 67 (1984-85): 575-608. Andrew James Brown, A History of the Christian Interpretation of the Days of Creation in Genesis 1:1-2:3: From the Apostolic Fathers to Essays and Reviews (1860). PhD Thesis, The University of Queensland, 2010. [There is no substitute for this very detailed account, but unfortunately it is very hard to obtain. A much shorter work by the same author is readily available here. Edward B. Davis, “The Word and the Works: Concordism and American Evangelicals.” In Perspectives on an Evolving Creation, ed. Keith Miller (Eerdmans, 2003), 38-60. Edward B. Davis, “Science Falsely So Called: Fundamentalism and Science.” In The Blackwell Companion to Science and Christianity, ed. J. B. Stump and Alan G. Padgett (Oxford: Blackwell Publishing, 2012), 48-60. William A. Wallace, Appendix 7 in William A. Wallace, ed., Thomas Aquinas, Summa Theologiae: Volume 10, Cosmogony: 1a. 65-74 (Cambridge University Press, 1967).